Google has released its data for the global's top trending searches 2015. Every year, it reflects on the moments that made us laugh, made us cry, and made us search, via this annual Year in Search. In the year's biggest moments and the questions are about "Paris under attach - Terror in the heart of Europe" with more than 897M searches. Left chart is about the trending searches in 2014, and the right one is in 2015. So, in these two years Apple and Samsung brands are still quick good to keep in the same position in the most popular searches. 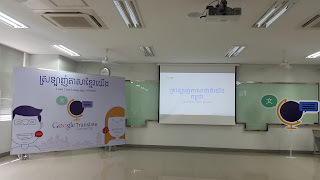 Phnom Penh, Friday 2nd October 2015: Google announced it will host its first “Love Your Language Cambodia” translate-a-thon campaign this weekend (October 2-3) in a dedicated effort to reduce the language barrier for Khmer speakers on the web, at home and around the world, through crowd-sourced translations. Google Translate Community, a free crowdsourced translation tool, works with just few clicks or swipes on a mobile phone, tablet or laptop, and even just a few minutes can help millions of Cambodians around the world receive better translations. Google has also introduced Google Handwriting Input for Khmer, which gives internet users a simple way to input text on their smartphone or tablet by writing out Khmer characters with their finger or stylus pen. For those who find it difficult to use small keyboards in complex language scripts, or for older internet users who find typing to be a barrier, Google Handwriting can help them gain access to Khmer web content and the wider world. 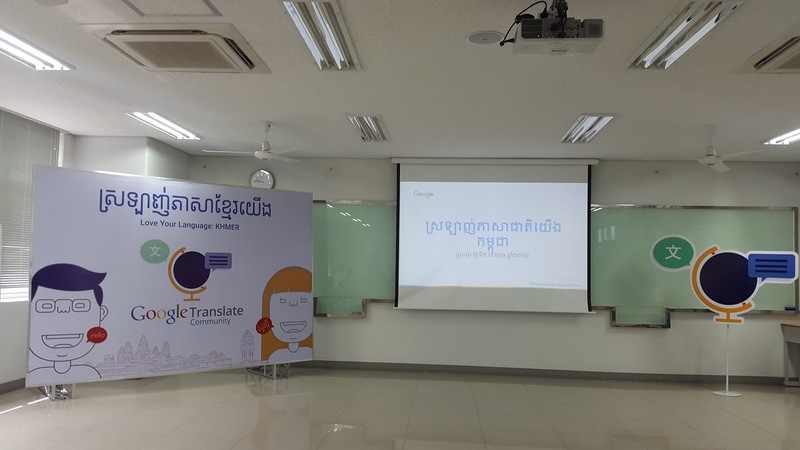 Google will hold a series of Love Your Language translation-a-thons in Phnom Penh from October 2-4, in partnership with the Royal University of Phnom Penh, the University of Puthisastra, Phnom Penh International University and local Google Developer Groups. Can’t make it to an event? You can still help contribute online at g.co/translate/community. 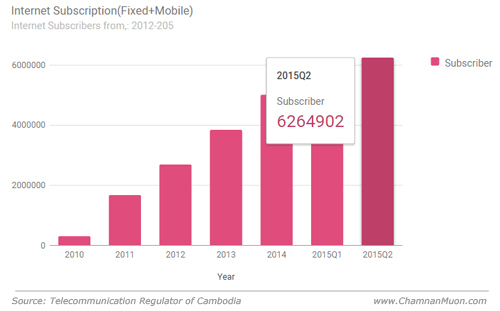 “If you’ve got accesses to the internet, no matter what device you have, you can help improve Khmer online. So why not take a few moments and let your feedback help millions?” added Ms. Kunrojpanya. During the launch, I was also participanting and one point I learnt from her sharing was "If you want to help your language more popular online, please use it much on the net (website posts, articles on Wikipedia, blog posts, social media posts ...). Personally, I am the one of translation contributors in Cambodia, and I take some minutes in helping translations on this community few times per week. So, have you tried to help our, Khmer language, contribution yet? After Google Translate team gave Cambodian users a gift during Khmer New Year 2013 in putting Khmer language as its 66th supported language, the team [both Cambodian & head office engineers] work hard to improve the quality of translations and other new features available for us to use for free - according to the official blog post in January 2015, Google released another feature on Instant translation with Word Lens, and Khmer handwriting feature to be included with as well. 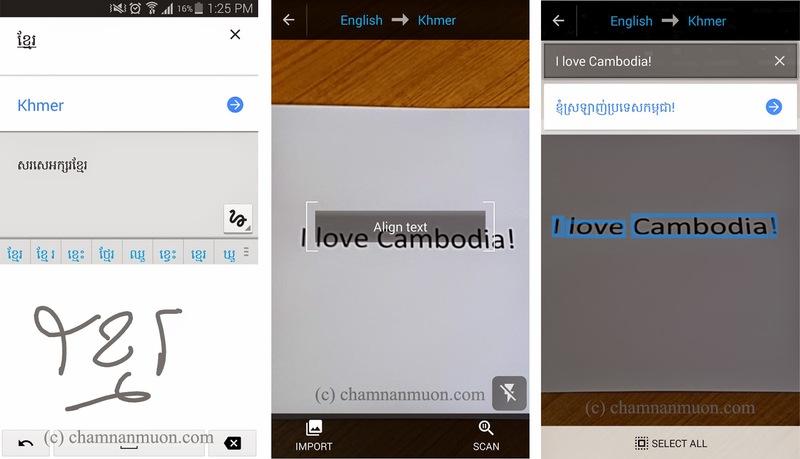 In Word Lens feature, you can translate into Khmer language too. According to Google Transparency Report - browse real-time traffic to Google products and services, it shows that Google Translate service in Cambodia is increasing year by year since the product launched in Khmer language. So, it is our great opportunity to get more updates and other investments from Google soon. Let get your app updated now and transform your mobile device into an even more powerful translation tool! Do you have any idea on this new feature, and what upcoming features will you expect to get from? Personally, I am waiting to get another feature of Voice recognition in Khmer. How about yours?Please express below. 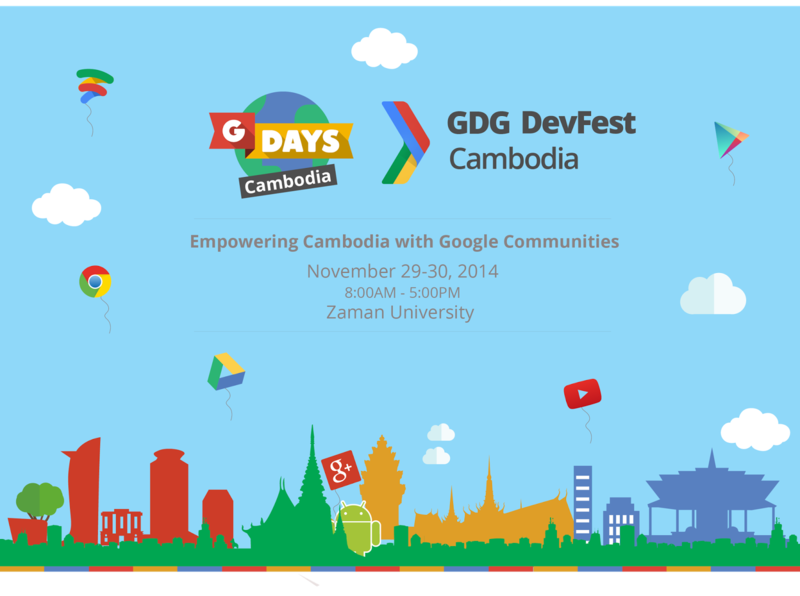 Phnom Penh, Saturday November 29-30th, 2014: Hundreds of IT experts, business person, and students working and studying in the field of information technology come together today at ZAMAN University in the event of gDay & DevFest Cambodia 2014. Organized by local Google Developer and Google Business Groups, gDay (Google Day) is the first event to be held in Cambodia. However, in 2013 there was an event DevFest which was focused only on developer and IT Experts. In 2014, it is a bit difference since the two big events will be joined together in two days. gDay is leaded by Google Business Group Phnom Penh which will be focused on how to use Google technologies to maximize business while DevFest will be focused on training developers to new technology so that they can improve their skill to produce more applications. So, What is really a hackathon? Mr. Kong Somvannda who are responsible for PR and Communication for this event added that this year, we have big sponsors from Google, ZAMAN University, USAID’s Development Innovation, gGear - Official LG distributor, Online ISP, and MyTEB. LG will introduce SmartWatch and New Selfi Technology, and MyTEB will demonstrate affordable SmartPhone and Tablet. gDay and DevFest Cambodia 2014 is a serious of world-wide community-lead events around the world that has technical and business sessions centered around Google Technologies and Platforms. It focuses on bringing together all passionate local developers, business persons, and students to share and to learn new technologies of code and network. For further information, you can find on the event website: www.gdaycambodia.org. Please manage your weekend time to attend this great event in Phnom Penh. See you all there! 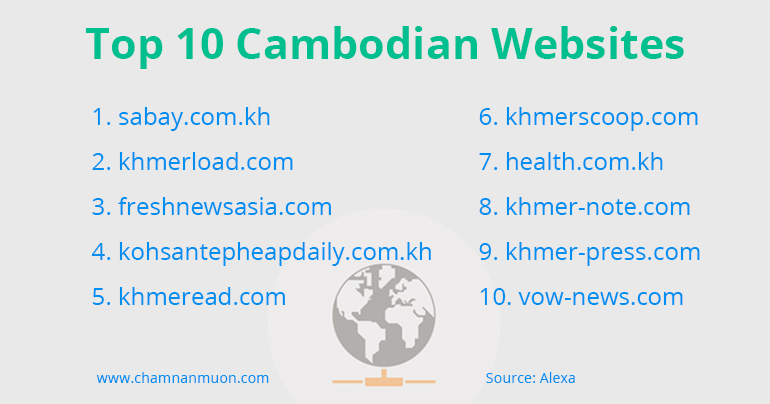 Recently Google is improving faster in its products and services especially in next wave emerging market like Cambodia as my previous post about How Many Google Services Available in Khmer Language? which told you all Khmer languages list in Google - it's counted as an evidence of improvement. The new Captions Feature in video, Youtube had released it since 2008. Captions can help people who would not otherwise understand the audio track to follow along, especially those who speak other languages or who are deaf and hard of hearing. 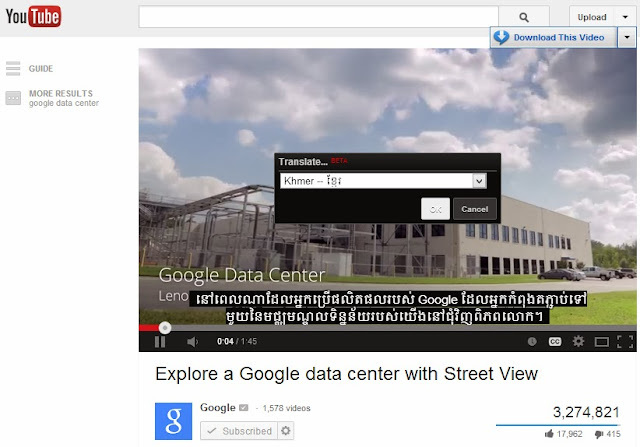 But the Translate Captions is still in a beta, that allows us to watch all videos where the owners has added them translating into a list of available languages (as above photo showing selection in Khmer). Then the popup of "Translate Captions BET" appears, next please scroll down to select language "Khmer -- ខ្មែរ", last you have to click "OK" to apply. You got it done right? How the meaning of Captions translated into Khmer correctly - it's based on how we can contribute our correction in Google Translate project. During the first Google event in Cambodia, DevFest Phnom Penh 2013, last week, Mr. Divon Lan who is a Product Manager Emerging Market, Google, said that Khmer language will be included into Android 4.4 or so-called Android KitKat while he presented a Keynote by Google Representative "Innovation at Google". The good news it will be an alert for long-waiting android users in Cambodia to hear their language officially released in this new version of Android OS; meaning that from Android 4.4 up to, we no need to root or install any apps to use Khmer Unicode anymore, the language will be embedded into Android firmware. Are you happy to hear that? The Android will use the Google font “Noto Sans Khmer, it is similar to Nokora” which designed by Mr. Danh Hong. Have you checked it out on any Android devices with the version yet? I am so happy to see Khmer language included in Android 4.4. Note: All new features will be released firstly into all Google devices OS such as Nexus 5, if interested buy it here (it's not available to purchase online in Cambodia market yet)! Finally, Cambodian Android users will enjoy using their language easily. 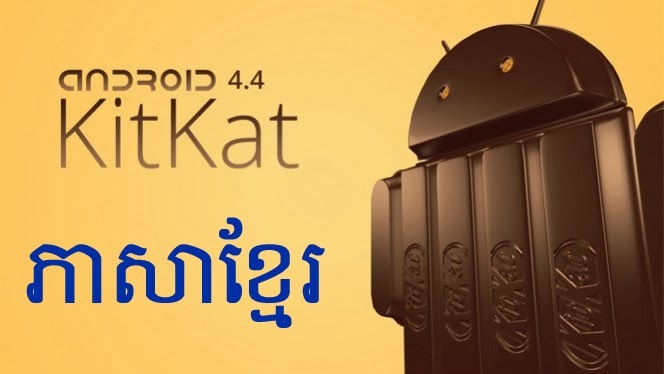 And I would like to thank for Android developer team and Cambodian related institutes or persons who make the nation language appears in this Google product, Android KitKat. Let's use our language as much as possible in order to improve or promote our nation! 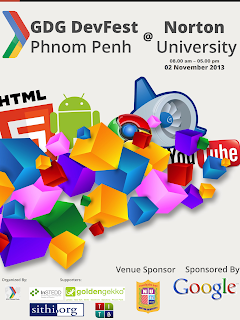 I am pleased to share you an announcement of the first Google event in Cambodia "DevFest Phnom Penh 2013" which will run by GDG Phnom Penh and supported by Google and other Tech Companies in Cambodia. Do you doubt on what is the DevFest? DevFest is a series of world-wide community-lead events around the world that have technical sessions center around Google Technology and Platform. DevFest focus specifically to bring all passionate local developers to teach, learn, code and network. 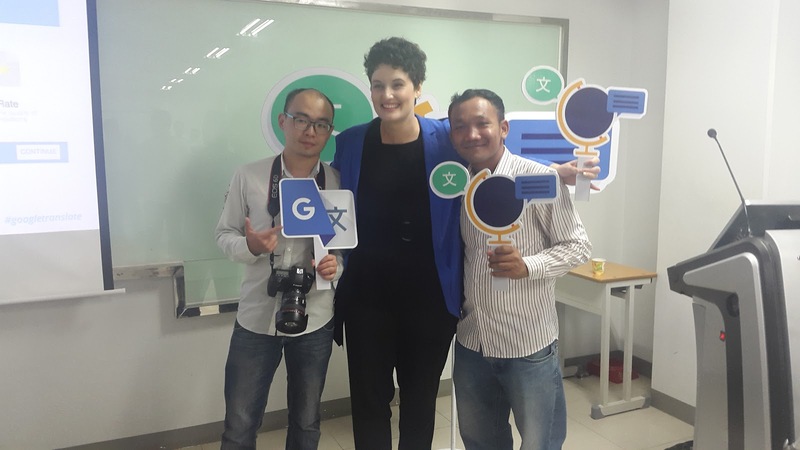 DevFest around the world is mainly sponsored by Google Inc. usually partnered with local tech company in every country. DevFest is originally started in 2008 in the United Stated by Google Inc. and wide-spread to more than 100 countries in the world through Google Developers Group. So what about DevFest Phnom Penh 2013? It focuses on the theme “Wearable Computing, Mobile & Cloud”. The event will bring more than 500 local developers and IT engineering student along with Experts and Google Engineer together. Android, Google Cloud Storage, Google Maps & Street View, Khmer Language on Google Platform, Google App Engine, HTML5 will be the centered of the entire conference. It's really cool and a good chance for developers who are interested in Google technologies come to meet along with exchanging the idea directly with Google engineers. And it is FREE and open for public on 02 November 2013 from 8am to 5pm at Norton University New Building. Let's come together and meet me over there! About a year ago since 2012, PP-GTUG announced Cambodia Mapping Competition from 15 October – 30 November 2012 for booming the maps. Finally, what I have been waiting for about Google Maps since I've known how nice and useful of Google Street View. 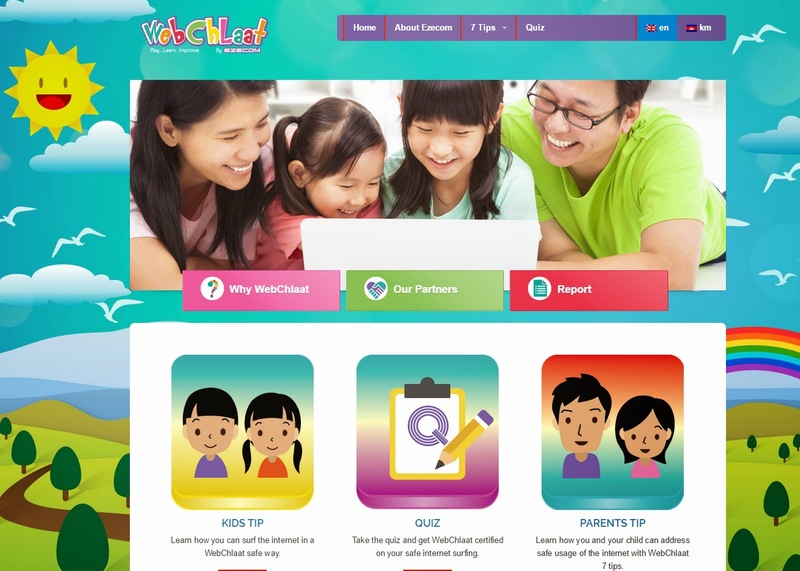 Now it officially launches in my beloved country, Cambodia, on July 23rd, 2013. Cambodia becomes the 51st country on the planet to embrace Street View and, like many others, tourism is among the driving factors. 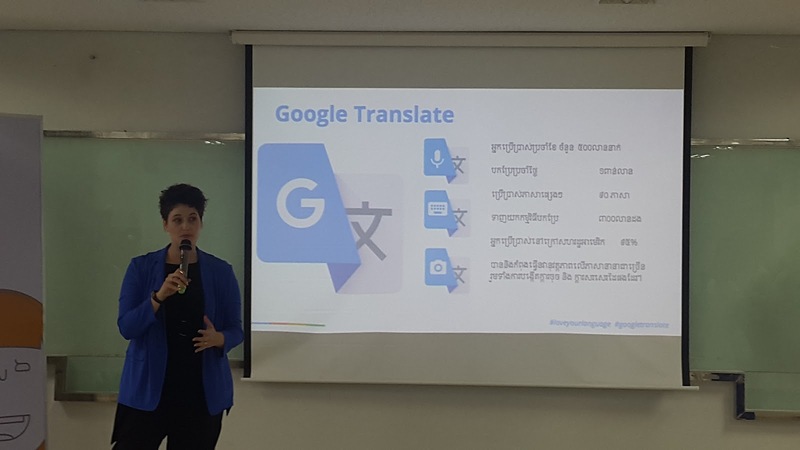 Google says it is working closely with the Ministry of Tourism of Cambodia, the APSARA Authority (ANA), and the Phnom Penh Municipality to make the program happen. Culture vultures will be keen to hear that Google is fast-tracking the Angkor Wat archaeological site. The company has already dispatched a Street View Trekker team to photograph the historic temple in all its beauty. Image from GDG Phnom Penh, more here! Google’s mapping technology will offer various benefits and help us continue showcasing our beautiful culture and country with the world. Through this partnership with Google and through our on­going ‘Kingdom of Wonders’ campaign, we hope to engage more people, both local and global, in experiencing Cambodia in new way. Sooner our nice 360-degree panoramic views of other notable heritage locations will be shown to the world through this project. And we can contribute the panoramic photos or photo spheres to Street View Contribute as well. 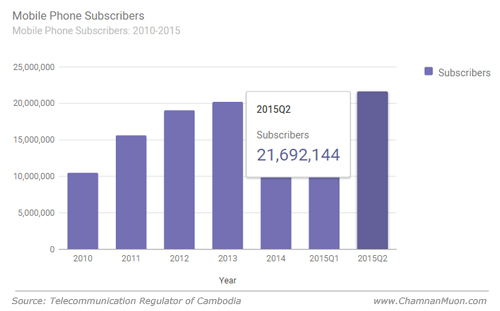 Bravo, Cambodia! 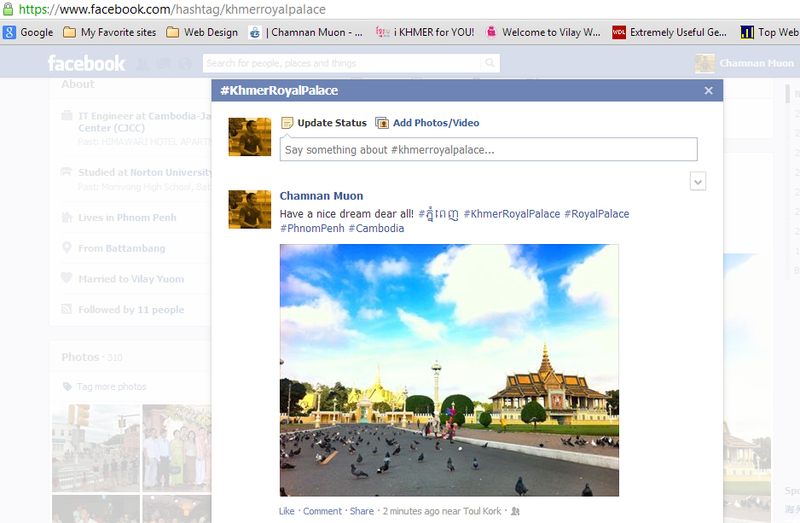 You can check the Google Maps's official domain in Khmer at maps.google.com.kh. Note: Google Maps now available in Khmer language too! 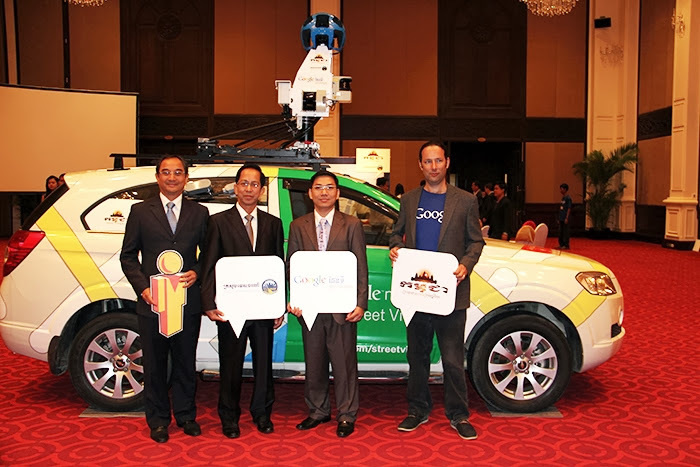 Google Street View Project Officially Launches in Cambodia! 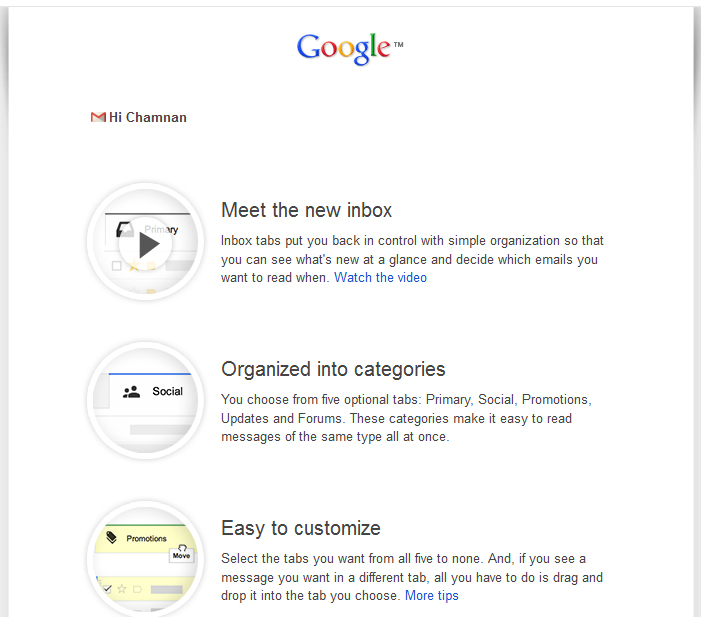 After Gmail introduced new composed and reply experience since the end of 2012, today Gmail is getting a brand new inbox on desktop and mobile that puts you back in control using simple, easy organization. On the desktop, the new inbox groups your mail into categories which appear as different tabs. You simply choose which categories you want and voila! Your inbox is organized in a way that lets you see what’s new at a glance and decide which emails you want to read when. You can easily customize the new inbox - select the tabs you want from all five to none, drag-and-drop to move messages between tabs, set certain senders to always appear in a particular tab and star messages so that they also appear in the Primary tab. Personally, I really like this such a new feature! Check out how it works? Today when I have shared a content on my workplace social media page, CJCC's Facebook, it is surprised to me while I check back the content I posted on the page. Do you know what makes me surprised on Facebook? It is a Hash tag "#" just a feature or a sign that I always use it to promote contents generated automatically to another short-text-share social media, Twitter, and I have been waiting for on this most popular network as well. What does Hash tag "#" on social media give advantage for you? Let me express my personal view on this tag "# - Hash" that is used by popular social media networks like Google+, Instagram, Twitter, Tumblr, or Pinterest, and recent days on Facebook to help people more easily discover what others are saying about a specific topic and participate in public conversations. It helps you to increase or improve your SEO when your contents sharing any linked topics on it. Facebook's Hashtags are clickable and allow you to add context to a post or indicate that it is part of a larger discussion. When you click on a hashtag in Facebook, you'll see a feed of what other people and Pages are saying about that event or topic. So I hope we will get more nice features for the-introduce-hashtags in Facebook on next coming days. How Facebook's Hashtags differentiate with other social medias? • Search for a specific hashtag from your search bar. For example, #KhmerRoyalPalace (as above photo). • Click on hashtags that originate on other services, such as Instagram or inside comments (it's a nice point I prefer). • Searchable by filling in URL address (https://www.facebook.com/hashtag/FillingText), just copy this url into internet browser then replace on the word "FillingText" what you want to search for, available only when user logged-in. • Searchable by filling in URL address (https://plus.google.com/u/0/s/%23FillingText), just copy this url into internet browser then replace on the word "FillingText" what you want to search for even there's no user log-in. • Searchable by filling in URL address (https://twitter.com/search/realtime?q=%23FillingText&src=hash), just copy this url into internet browser then replace on the word "FillingText" what you want to search for even there's no user log-in. • Searchable by filling in URL address (http://www.tumblr.com/tagged/FillingText) or personal url (e.g. http://chamnanmuon.tumblr.com/tagged/FillingText), just copy this url into internet browser then replace on the word "FillingText" what you want to search for even there's no user log-in. Finally, what the most hash tags have been used nicely and let start to use it as marketing campaign.